While there are lots of things you can do to keep mosquitoes away, there are a few plants that will beautify your yard and help repel mosquitoes. Horsemint has a scent similar to citronella. Horsemint grows wild in most of the Eastern United States, from Mexico, Texas up to Minnesota to Vermont. It is partial to sandy soils and will grow in USDA Zones 5-10. Native Americans used it as a treatment for colds and influenza. It has natural fungicidal and bacterial retardant properties because it’s essential oils are high in thymol. This wonderful herb we use for seasoning is also a great, natural mosquito repellant. It’s been used for centuries to keep pesky mosquitoes away. Rosemary is a native of the Mediterranean, so it likes hot, dry weather and well-drained soil. If you happen to live in a part of the country where rosemary does not grow, you can find a fantastic excellent rosemary essential oil; mix 4 drops with 1/4 cup olive oil. Store in a cool, dry location. When it comes to fresh plant oils as natural mosquito repellants, there is every reason to have the plant in your yard, if they will grow in your area. It is an inexpensive and attractive way to increase the appearance of the landscape and have natural mosquito repellants available as well. Organic gardeners have used marigolds as companion plants to keep aphids away. Mosquitoes don’t like its scent any better (and some people feel the same way). Marigolds are sun-loving annuals that come in a variety of sizes and shapes for just about any landscape. This charming little bedding plant contains coumarin, and mosquitoes detest the smell. Don’t rub ageratum on your skin, however. It has some other less desirable elements that you don’t wish to keep in your skin in volume. Ageratums are annuals, and the come in a muted blue and white that compliments most other plantings. There are two types of plants which are called mosquito plants. One is a member of the geranium family which was genetically engineered to incorporate the properties of citronella. Citronella only grows in tropical areas, but it’s a well known repellant for mosquitoes. This plant was created to bring the repellant properties of citronella into a hardier plant. It will grow where any geranium will flourish. Many have questioned its usefulness as a mosquito repellant, but it’s attractive enough to justify planting for it’s ornamental value. The other kind of mosquito plant is agastache cana. As you may guess, hummingbirds are very attracted to it. It’s a New Mexico native, also found in parts of Texas. It is, in actuality, a member of the mint family and its leaves do have a pungent odor when crushed. In its native habitat, it is perennial, and is generally hardy in USDA Zones 5a-9a. It blooms late summer to early autumn, so it grabs hummingbirds on their annual migration. The long, medium pink flowers reel in butterflies also. Among the most powerful mosquito repellant plants is normal catnip. 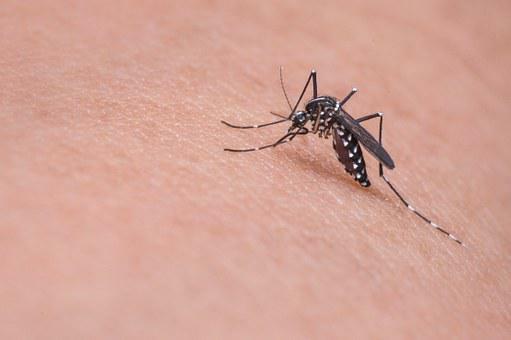 Recent studies have revealed that it is ten times more effective than DEET at repelling mosquitoes. It is a short lived perennial throughout most of the United States. It’s easy to grow from seed, and quickly reseeds. Aside from its intoxicating effects on cats, the leaves make a very soothing tea. With all of these plants, the leaves must be crushed to release the aroma. Otherwise mosquitoes can not smell them. And, with rosemary and catnip, you can simply crush a few leaves and rub on your skin and clothing to enhance the effect. So, next time you’re revising your plantings, consider using some of these attractive plants to do more than just improve the landscape. You can have pretty ornamentals for Wildlife Removal and also drive mosquitoes away.